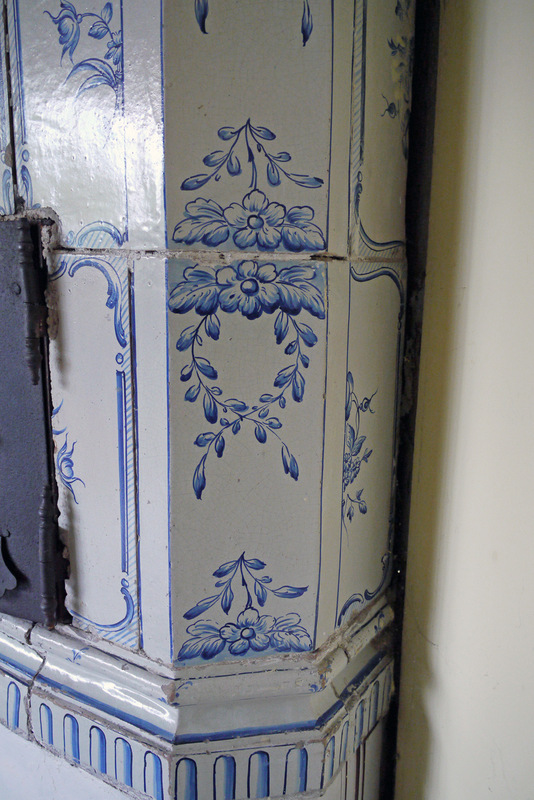 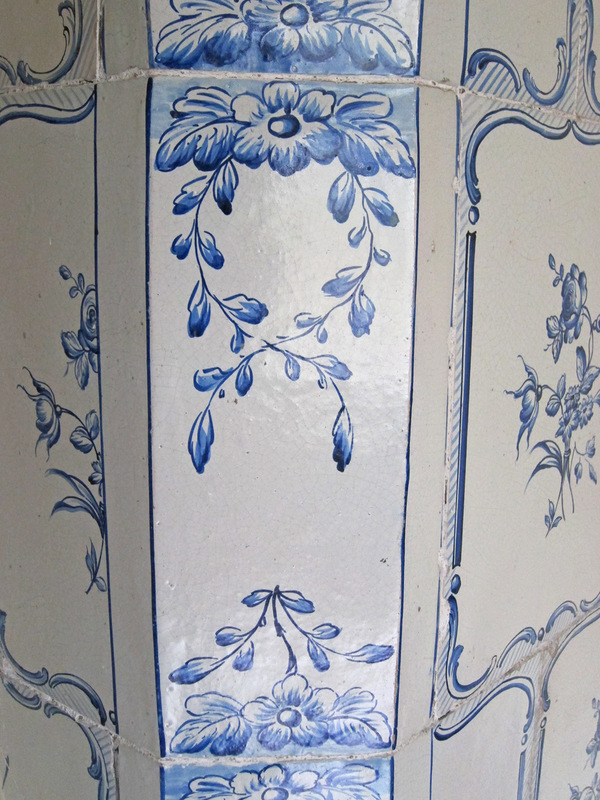 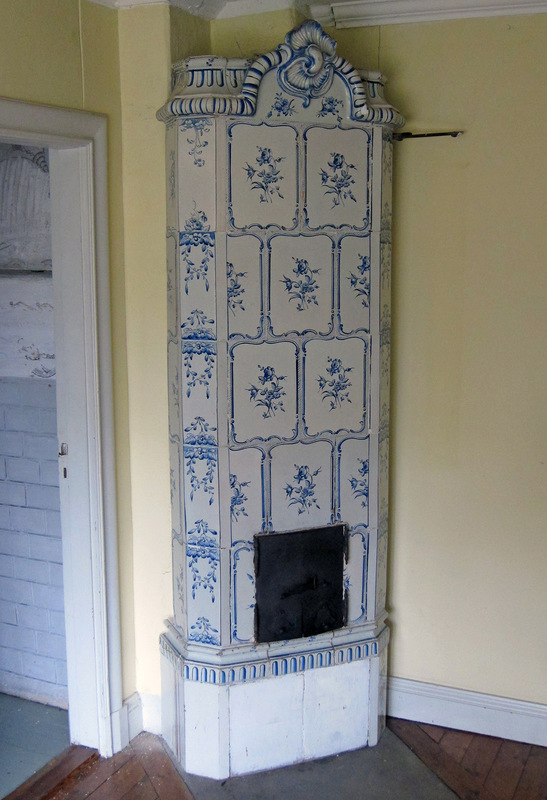 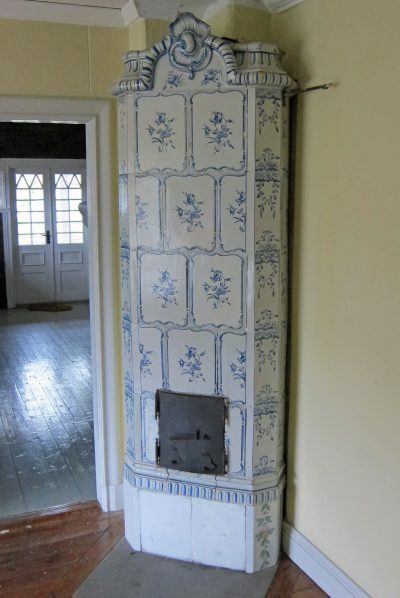 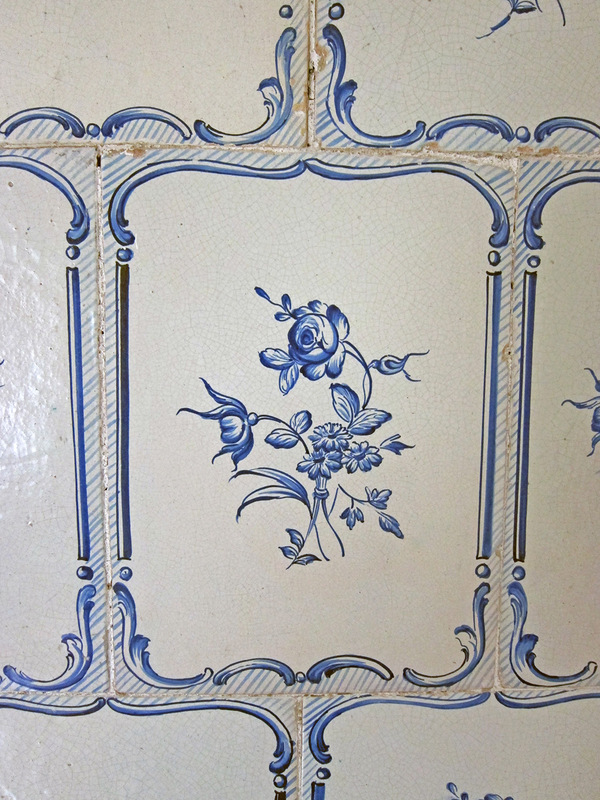 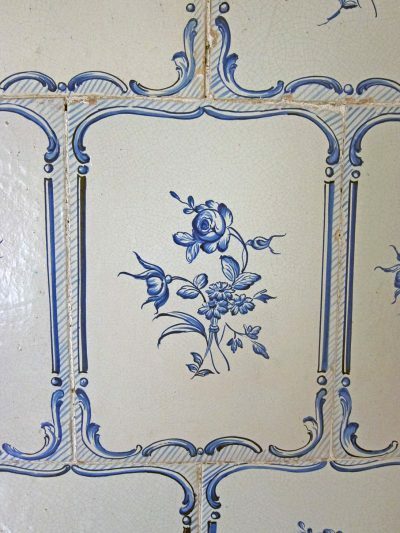 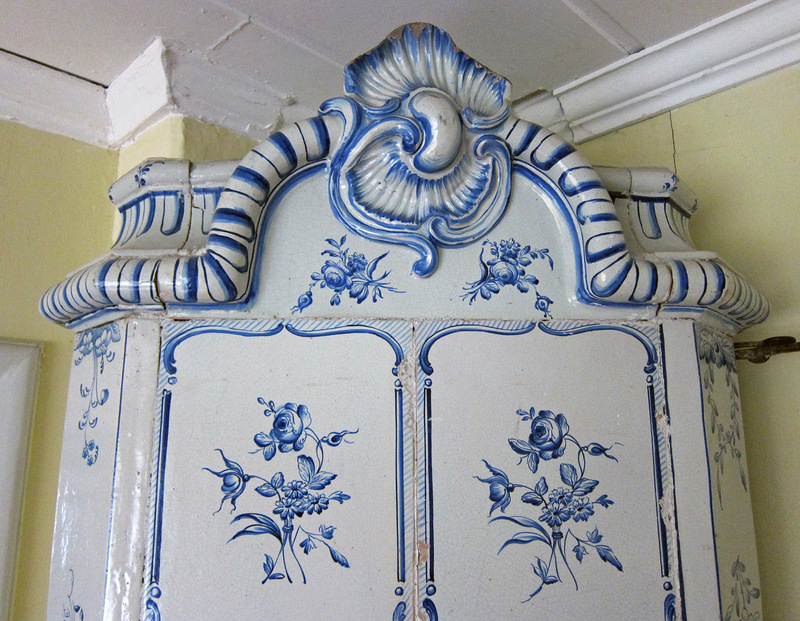 Blue and white tiled stove, made in ca. 1750. 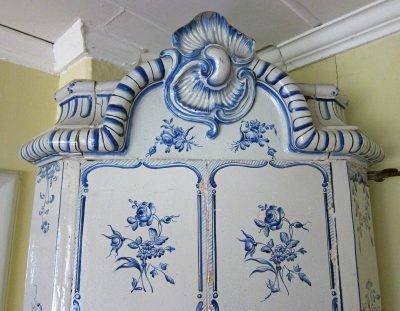 Height 233 cm, Plinth 34 x 73 cm.